So, a certain Charles Antwi walks into Ringway Assemblies of God church auditorium carrying a loaded gun to kill John Mahama. He confessed that he went there to kill Mr Mahama. We were later told that the man many described as abnormal, was one of the best drivers in his area. 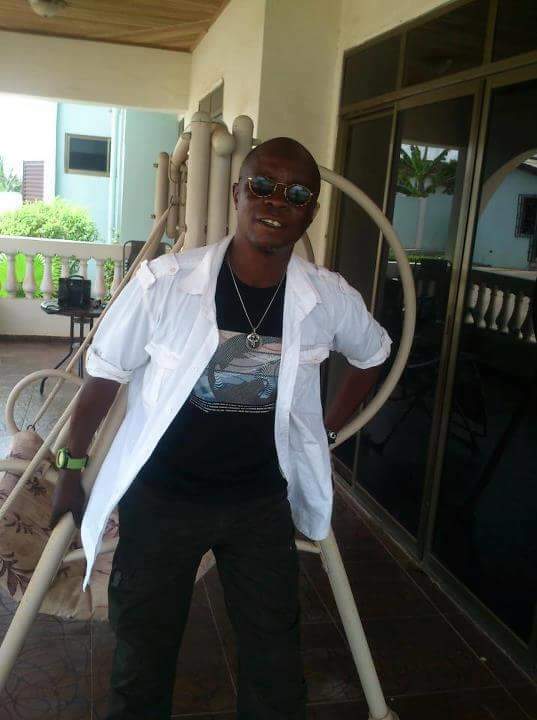 A senior pastor at the Central Assemblies of God Church at Tema Community 4 was recently stabbed to death during church service by his nephew. The nephew said he committed that dastardly act because of spiritual curses invoked on him and his family by the man of God. The nephew in the video, attributed his plights and woes to his uncle’s alleged spiritual activities against the family. So many people depend on their pastors, fetish priests, etc for almost everything. Many marriages and sweet relationships have been destroyed because of these prophesies. I heard a a case of a woman who got widowed early with four young daughters. The woman struggled to put them through school and they graduated with outstanding grades. Unfortunately two of the daughters couldn’t have steady relationships let alone get married. The one who got married had few marital issues. They started visiting churches for salvation and a pastor told them the mother who struggled to put them where they are in society is a witch and the cause of their problems. The pastor instructed to cut ties with the mother . They did exactly what the pastor instructed them to do by shutting their mum out of their lives. Young men/women attack their parents and some even kill them because of these prophesies. We drive our family members from our homes, warn them never to come close our homes because of prophetic instructions given us by our pastors. We lived in big compound houses built our grandfathers, uncles and great grandfathers. That open environment united us and we saw ourselves as brothers and sisters. Today we build according to the number of children we have with one attached for our dogs. The new fake biblical (western) teaching is that – your family members are witches and wizards. These false prophets are changing the grace of God into a licence for immorality. This false prophesies phenomenon became a tormenting issue in England and other parts of Europe centuries ago. At point laws were promulgated to curb activities of these false prophets. Those caught prophesying about the imminent demise of a King or knight faced fines, jail, or execution. Such that the fate of one John Dobson, a Yorkshire vicar, put to death in 1538 for interpreting a popular prophecy to indicate Henry VIII’s downfall and the restoration of Catholicism in England. As a result of all this top down political pressure, the textual record of prophesies was declared as severely undemocratic and dangerous. This beautiful society, culture and tradition inherited from our forefathers are being destroyed with ease and speed by these charlatans. Politics is organised by human beings and supervised by human beings. It just like what football teams do prior to their matches. They all pray for victory. But which prayer does God answer. God can only answer the prayer of the team that trained or practiced well. Vigilance, the other important thing to consider. But stop narrowing these fake prophesies to our politics. Our society is being destroyed speedily by these fake prophets, we losing our God given culture and traditions because of these prophesies, we losing the Africa in us because of these fake prophesies, parents are dying and going through serious pains because of these prophesies,our politicians are becoming lazy and predictable because of these prophesies.